Here’s everything you need to know about the Student Communities Zone. 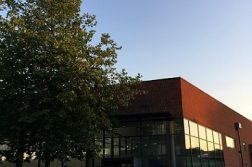 VP Student Communities looks to work with and support activities at our sites and satellite campuses (Winchester School of Art, National Oceanography Centre, Southampton General Hospital, and others). 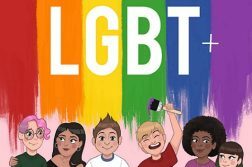 It represents, supports and amplifies the voices of students from hard to reach groups, including: international students; postgraduate students; mature students and student parents. The role is designed to lead and support our JCR Committees in Halls and Private Rented accommodation as well as represent, support and amplify the voices of students with protected characteristics, as illustrated through equal rights legislation. There is also a responsibility to create community and social cohesion between these groups of students. Furthermore international students, postgraduate students, mature students, student parents and students living in both University and private accommodation also benefit from the support this post provides. How has this position changed, if at all? Who held this position from 2012/2013? Who is running for the position this year? James Brant and Oliver Coles. The International Students’ Officer heads up the International Committee (with the VP Student Communities) and is the person who brings anything necessary from International Committee or otherwise to the attention of those at Union Council in order to find a solution. They will also help (will the assistance of their committee) to ensure tasks, events, or just anything on the agenda is performed with a successful outcome. Ali Al Tajjar, Jawad Bhatti and Vlad Novikov. The JCR officer co-ordinates the overall activities of the JCR committees. This includes not just those new students living in University halls of residence but private accommodation as well. The NOC Officer is responsible for communicating any problems with NOC to VP Communities and subsequently to Union Council if necessary. 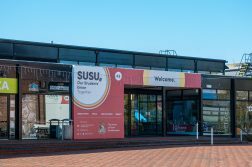 They provide a balance from a site perspective to ensure that SUSU’s policies and plans stay well-rounded and are adaptive to sites that are located further away from Highfield campus. The Outreach Officer will strive to further the interests of students at the satellite sites (Basingstoke, Portsmouth, Isle of Wight). The Postgraduate Research Students Officer safeguards the welfare of Research Postgraduates at the University. The Southampton General Hospital Officer pushes for guarantees aimed at helping the students of SGH. Due to the unique challenges faced by those who study there, innovative ways of accommodating them will need to be championed. The Winchester Officer secures the well-being and satisfaction of students at the Winchester School of Art. Ensuring there is sufficient accessibility for students will require effective teamwork with the Winchester executive. Keep up to date with all the latest Elections news and information with the Wessex Scene.